Apple revealed its lists of the top-selling apps and games of 2012 Thursday, dividing the installations into top free and paid iPhone and iPad apps. On the iPhone side, Google's YouTube was the most popular free app of 2012. Given YouTube's popularity, maybe Apple shouldn't have dropped it from iOS 6? Instagram and Zynga's Draw Something came in second and third place in free iPhone apps, respectively, while Angry Birds Space, WhatsApp Messenger and Draw Something (the ad-free version) were the top three paid iPhone apps of the year. Skype took top honors in the category of free iPad apps, with Imangi's Temple Run and the Facebook app earning second and third place. 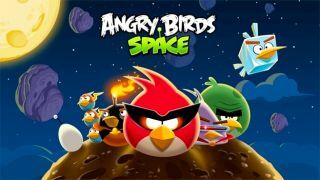 On the paid iPad side of things, Rovio scored again, with Angry Birds Space HD taking the top spot. Disney's Where's My Water? and Apple's own Pages app followed up as the second and third most popular paid iPad apps of the year. In addition to revealing the most downloaded apps of the year, Apple revealed its selections for the best App Store apps and games of the year on iPhone and iPad. Apple's iPhone app of the year was J.J. Abrams' Action Movie FX, which lets users add explosions and other "Hollywood FX" to videos. Apple's favorite iPhone game was Rayman Jungle Run, a spin-off of Ubisoft's popular Rayman Origins. The mystery game The Room was Apple's favorite 2012 iPad game, while creativity app Paper won for non-game iPad apps. Clicking on the link below will take you directly to iTunes, where you can check out the rest of Apple's "best of" categories, including "Fun Runners," "Photo and Video Magic," "Casual Games" and more. Though 2013 hasn't started yet, we have a feeling there's already a strong contender for next year's list.